Jewel is a great, inexpensive way to learn about Judaism in Jerusalem, especially for girls with little to no previous Jewish education. For as little as $499, you get round-trip airfare from New York to Israel PLUS 2- 3 weeks of room and board in Jerusalem, classes, and field trips (called "tiyulim" in Hebrew) all over Jerusalem and Israel. All of the classes are taught in English; no Hebrew is necessary. 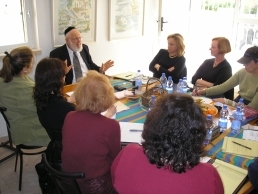 Neve Yerushalayim�s Mechina program offers Jewish women ages 19-35 the opportunity to personally interact with some of the most stimulating lecturers and authors in the Jewish world, including personalities such as Rebbetzin Tziporah Heller (Our Bodies � Our Souls, More Precious Than Pearls, This Way Up), Rabbi Leib Kelemen (Permission to Believe, Permission to Receive, To Kindle a Soul), Rabbi Yaakov Marcus, and many others. Mechina students tackle life�s toughest personal, philosophical and theological issues in a sensitive and thoughtful environment. Private tutorials are provided to all interested students. The program is conducted on Neve Yerushalayim�s sprawling, 6-acre, mountaintop campus in Jerusalem, and includes tours throughout Israel. The entire program lasts 6 weeks. Individualized programs with customized start and stop dates may also be arranged upon request. Financial aid is available. 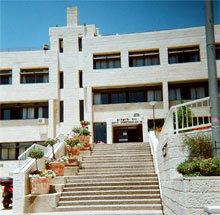 Students stay in the Neve dorms, which usually have 2 � 3 students to a room. 3 meals a day are provided in the Neve cafeteria. 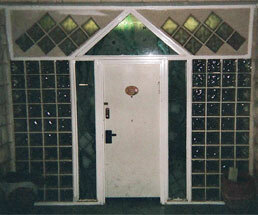 Apartment style housing is provided, with 6 - 8 girls/apartment (2 girls/room). Lunch is provided during the school week, Sunday - Thursday. Students have to provide their own breakfast and dinner. Gem is a program that runs 2 - 3 times/year. Women come to Israel for 10 days and stay at a hotel not far from the Old City. Located in the beautiful neighborhood of Katamon, Mayanot Institute of Jewish Studies for Women is a place where women of diverse backgrounds study together in an open-minded yet challenging environment. Here students have a chance to study about their heritage in a warm family like setting, as well as be part of an amazing community. Mayanot is not about telling you what to do; it's about empowering YOU to make informed choices. In line with this philosophy, there is no dress code and no religious commitment is required for attendance. At Mayanot we offer different tracks of learning to accommodate different styles and levels. 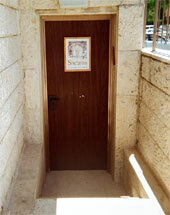 JSP - the Judaic Studies Program - offers a smorgasbord of Jewish learning and thought in a discussion style classroom. Class sizes are small to ensure a good student-teacher ratio. There are no Hebrew language requirements for the JSP level. Not sure which program will be best for you? Click here to ask for advice.